During the Mandatory period, derelict structures, shacks and rubble blocked the view of Jaffa Gate. After the Six Day War, the Jerusalem Municipality cleared the entire area so that the whole wall is now restored to view. 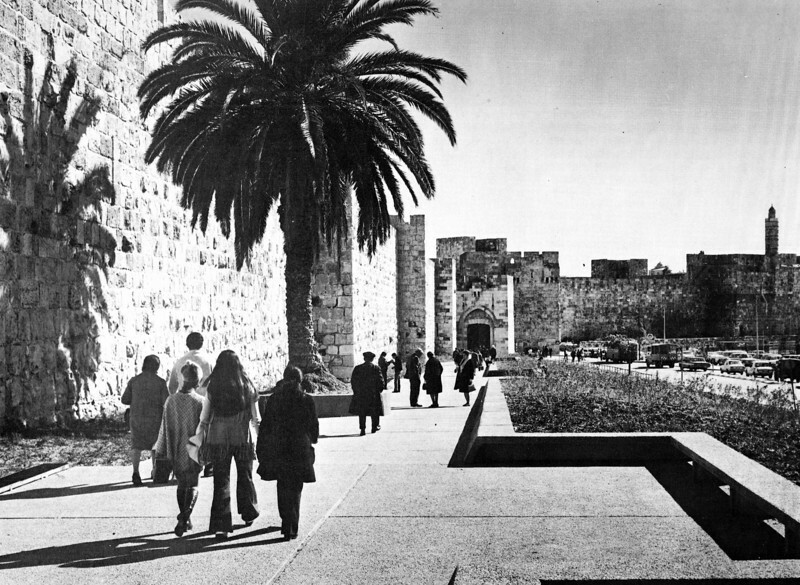 The first phase, already executed, included the conversion of the empty and neglected patch of land into a paved garden piazza and the creation of a new and wide approach route for pedestrians leading from this square to Jaffa Gate. The new promenade, which follows the projections of the west wall, is separated from the existing motor road by a planted garden strip, which protects the pedestrian from the dust and noise of the traffic.